Autodesk University will be streaming November 27-28. The schedule starts with a Keynote Address from CEO Carl Bass and CTO Jeff Kowalski. 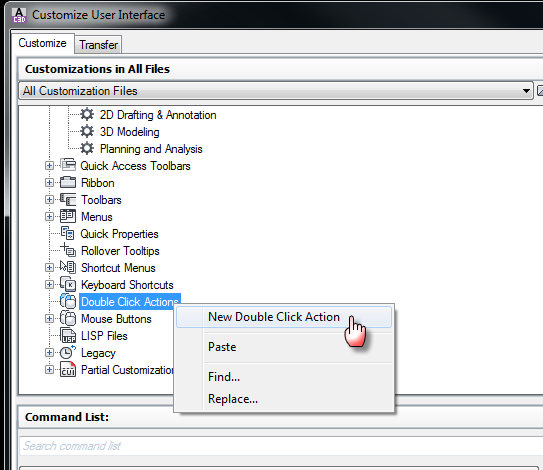 Some speed may be added to your daily production by adding functionality to your double-click actions. 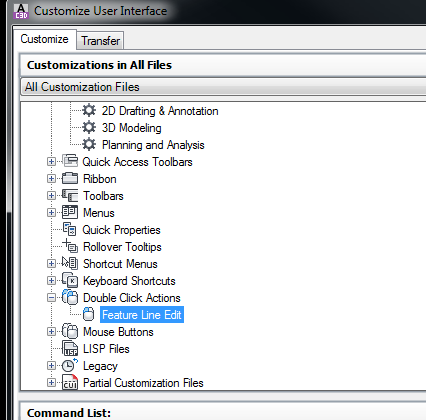 In this example we are going to add a double-clicking action to the Quick Elevation Edit for Feature Lines. NOTE: If the images below are fuzzy, then click on it and you will see it clearly. Use the BACK button in the browser and it should fix the images. These are GIF files. I worked on this for a couple of hours yesterday with no success. I ended up posting to the Autodesk Discussion Groups. I was leaving out one very important detail that made the whole operation fail. 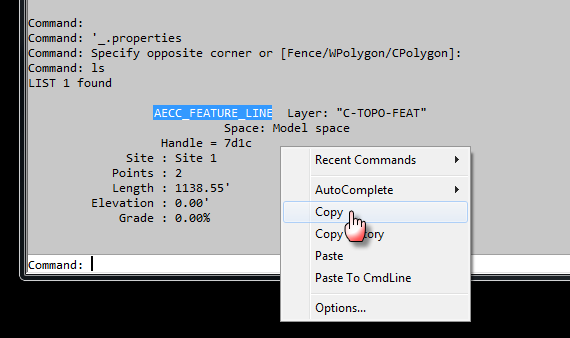 Thanks to user BrianHailey on the Autodesk Civil 3D Discussion Group, he showed me in detail what I was missing and an easy way of getting what I need. Good luck and thanks again BrianHailey! !